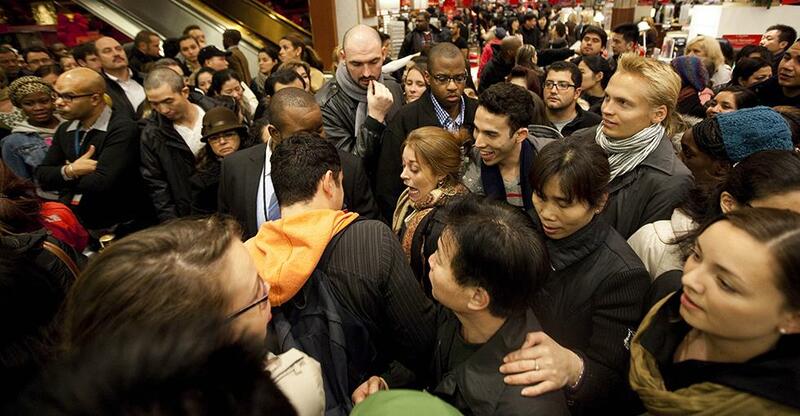 Black Friday: Helpful or Harmful? As Black Friday and Cyber Monday approach many businesses are frantically preparing themselves for the bargain hunters, but does the event just carry the illusion of success? The 2014 Asda fiasco went down in history as consumers battled their way towards bargain flat-screen televisions and they have continued to opt out ever since. Fast forward a couple of years and things seem to have calmed down and British shoppers seem to know how to behave. So, when did it all start? Since it all started in 1960, the Friday after Thanksgiving became a phenomenon as retailers slashed their prices to spur Christmas shopping sprees. Amazon brought Black Friday to the UK in 2010 and since then it has grown significantly. This year the day falls on the 24th November and it is set to be the biggest year yet. According to predictions from VoucherCodes and the Centre for Retail Research (CRR), Brits will spend £2.6bn in the sales, both online and in stores. Showing an 8% increase on 2016 and equating to a whopping £1.6 million per minute. Online spending is expected to reach £1.15 billion (up 15% on 2016) and high street figures are also set to be up by 4% on last years 9.5 million shoppers with an anticipated spend of £1.45 billion. Despite the popularity among consumers, Black Friday is continuing to divide the retail industry. With the staggering spending figures, it’s easy to see why small businesses might be tempted to take part. But despite the hype many of the larger retailers like Apple, Primark, Asda and Selfridges are choosing to opt out. And Black Friday could be costing businesses more than they bargained for: while the tills ring to the tune of millions, an article in City AM states that as much as 50% of promotional products are returned. And the cost of returns could hit retailers as hard with millions of pounds worth of stock waiting to be returned rather than on their shelves for others to buy and less cash in the tills. LCP Consulting interviewed 100 British and American retail executives and a third (28%) of them branded the day ‘unprofitable’ and an ‘unsustainable promotion’. However, many also stated that Black Friday proved positive for their business – depicting a stark divide in opinion surrounding the economic benefits of the day. Founder and chief executive of Clear Returns told City AM ‘on the surface, Black Friday is a successful key trading day, but it’s a gloomier picture once returns are factored in’. Small businesses often feel pressure to compete with the larger retailers approaching the festive season, however, running flash sales like Black Friday can prove damaging. With the days fast approaching, industry experts are urging retailers to make sure that they are prepared for the two busiest shopping events of the year. LCP Consulting’s annual Omnichannel report found that retailers with a more established presence (both online and in store) are in a better position to capitalise from Black Friday sales. On the other hand, those who do not have the infrastructure to deliver on the day are at risk of harming their sales through ‘alienating customers’, running out of stock and risking their reputation. Parcel delivery comparison website, Parcel2Go.com have also strongly advised small businesses to prepare well ahead and make sure that they have the right systems in place to cope with the increased levels of traffic/ footfall and the increase in deliveries and returns. ‘By creating the best mobile experience possible, understanding search behaviour and optimising for keywords, SMEs can profit from the biggest ever day for UK online sales’. If your business chooses to take part, it’s worth having a solid strategy in place before you commit to a campaign. Many independent businesses in the UK started their preparations months ago. As an established date in the British retail calendar, this American import is set to stay – it’s just up to you to decide whether it’s right for you and your small business. Are you taking part? We’d love to hear what you’ve got planned.